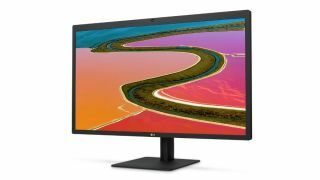 LG is taking action regarding its router-phobic 5K monitor – which hit the headlines earlier this week due to problems with interference from Wi-Fi hardware – pledging to fix the issue for those who have been hit by this bugbear. Some customers have found that their UltraFine 5K Display essentially freaks out if positioned near a wireless router, leading to a flickering screen, or even a black one (and indeed connected MacBook laptops are being caused to freeze up, too). LG’s customer support previously acknowledged this issue and advised monitor owners to ensure any router was placed at least 2 meters away from the display, but the firm has now said it will beef up the shielding on the product to cure the problem. Not only will new monitors be free of the issue going forward, but, according to Recode, existing models won’t be left out in the cold – they’ll be fitted with the improved shielding, too. Of course, the not-so-good-news in that case is the disruption of having to send your precious monitor away for attention for who knows how long – particularly if you need it for work. At least LG is taking action, but there will doubtless be those who are disappointed that they aren’t getting a swap for a new model, which would obviously be far more convenient – but a costly nightmare for LG. At any rate, if you have an affected 5K display, you best get in touch with the monitor vendor, but in the meantime, you’ll just have to keep that screen away from any routers.